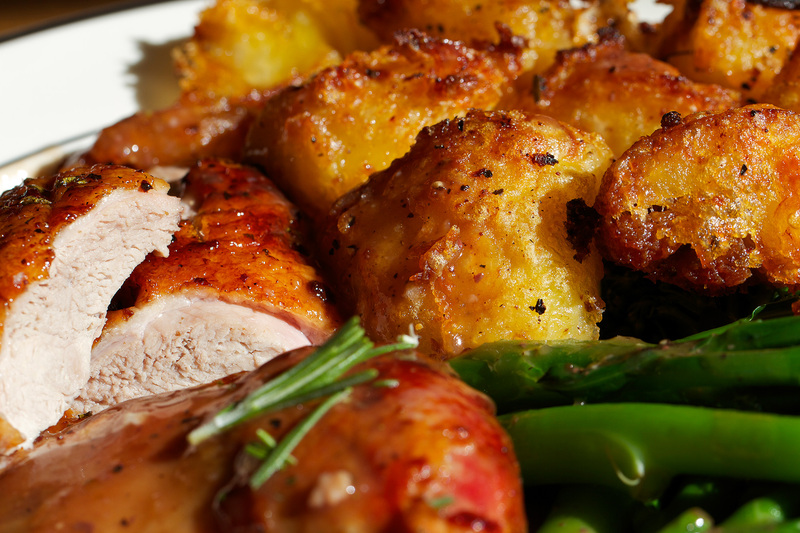 Ok so the only way you can make this recipe better is instead of using one duck to use two duck…yes! If there are 4 people then cook two ducks then everyone gets a leg and a breast each. It’s indulgent but duck is a pretty indulgent thing to eat. It’s fatty, not that good for you but tastes awesome. Especially when you combine this with roast potatoes cooked in the duck fat. I kept this pretty simple. I served it with a gravy made from the duck with red currant and rosemary. A pretty traditional sauce but so good with duck. I just served all this with some Broccolini, just very simply steamed. 1 or 2 ducks. About 2kg each. 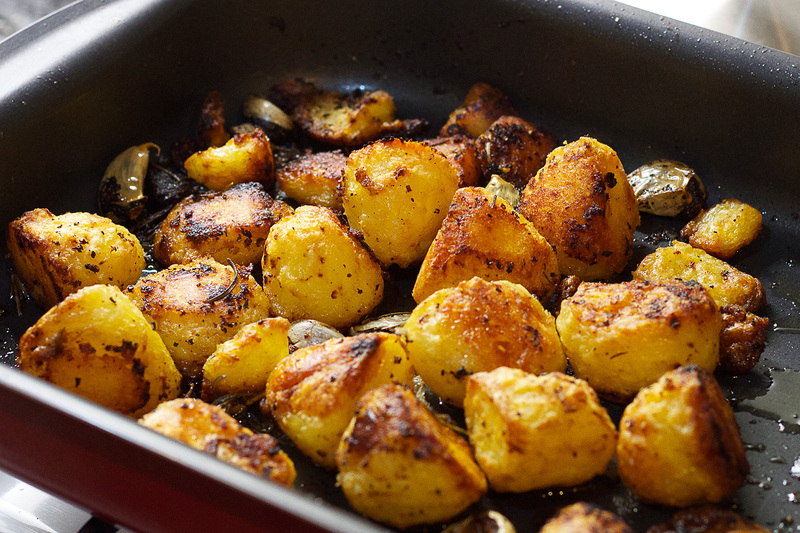 Potatoes – get some that are good for roasting. If you are buying from the supermarket then it normally says on the packaging what they’re good for. Some pre bought duck fat or a bit of vegetable oil. 1. ok so first thing. Get your oven on nice hand high. 220°C. In a large deep oven roasting dish. Get the onions. Peel them and slice each of them into three thick slices. Lay these in the bottom of the pan. Now get your ducks. They will probably come without the head but still have the neck. Chop the neck off and put it in the bottom of the pan with the onions. If it does have the head on then cut off the head and freak out any vegetarians you have nearby. 2. Ok so now get a very sharp knife and cut into the fat in a criss-cross pattern. Don’t cut right down into the flesh, just deep enough to cut in to the fat. Around the legs and back of the duck stick the knife in there point first to put a few holes in the fat. This will help the fat to drain off a bit. 4. Put the duck back in the oven and reduce the heat to about 160 (at this point put on a timer for 2 hours). 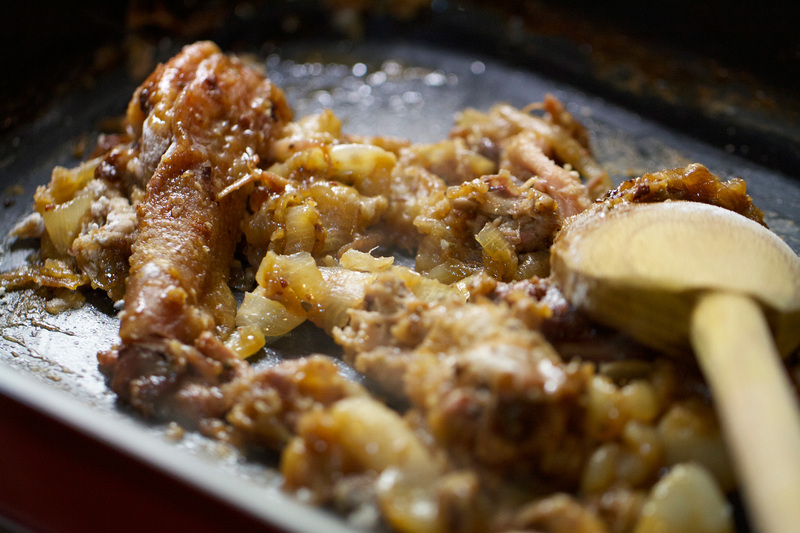 Now pop the other pan with the duck fat in it into the oven to heat up for a few mins. 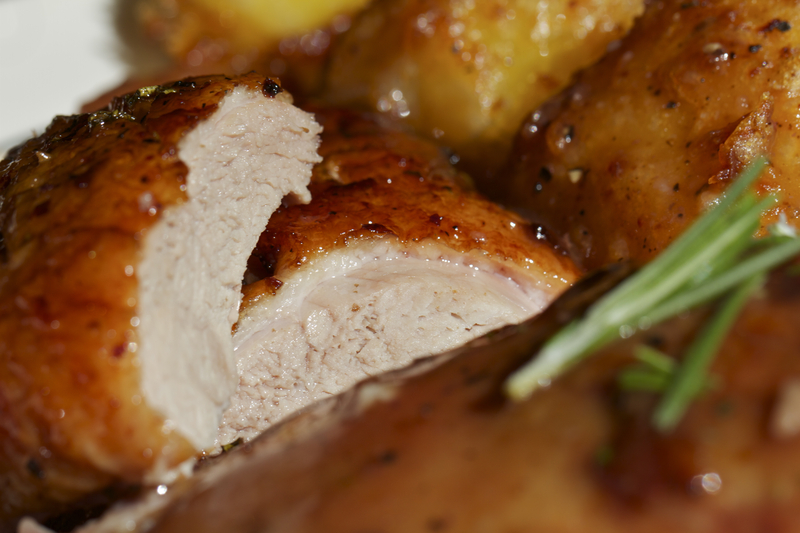 If you didn’t get much fat from the duck then add a bit of pre bought duck fat or some vegetable oil. 5. While the fat is heating up. Drain the potatoes (they should be slightly undercooked), put back into the drained pan with the lid on and it a shake. 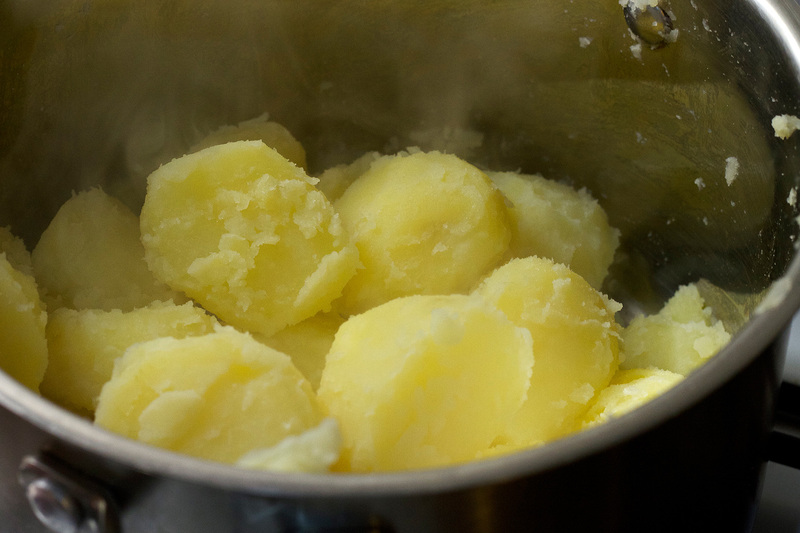 We want to mash up the edges of the potatoes to help them get all crispy. 6. Now grab the pan of oil out the oven. Watch out it’s going to be hot! Put on the hob and turn on to a medium heat. Now add the potatoes carefully to the pan. With a spoon drizzle the fat all over the potatoes. 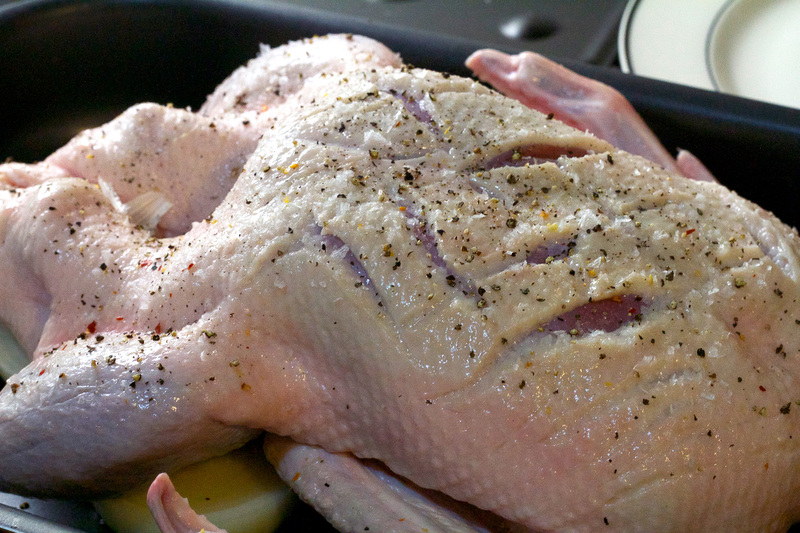 Season with good quality sea salt and pepper and pop back into the oven. 7. 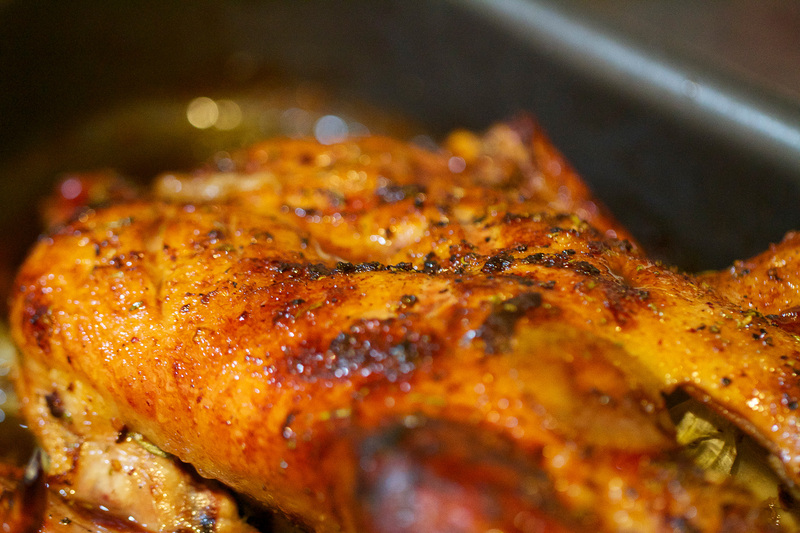 At this point grab the duck out the oven and baste with some of the juices in the bottom of the pan and a ladle of the chicken stock and pop back into the oven. Repeat this every 20 mins or so. 8. After the potatoes have been in the oven for 35 mins or so take them out and give them a turn and a jostle around a bit. 9. After the duck has been in the oven for about 2 hour they should be done. Remove from the oven and check. Stick a knife in near the leg and breast and if the juices run clear then you’re all good. 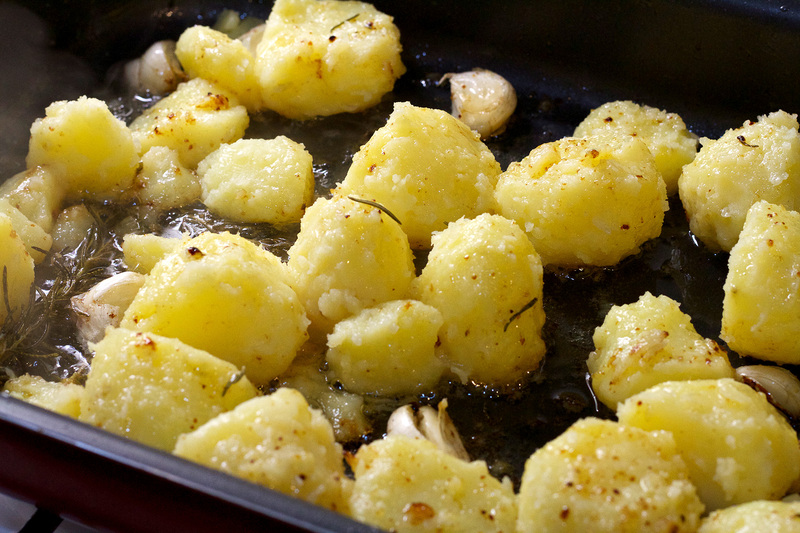 Remove them from the pan and put on a plate or chopping board to rest. 10. Now drain off all the juices into a bowl with a colander, put the oven pan onto the hob and put the drained onions and duck necks back into the pan. Turn on the hob onto medium high and start moving around. Add a spoon or two or flour and mix well and keep moving around. Now turn down. While this is happening with a spoon skim off the duck fat from the drained juices that you put in the bowl and put this in a cup or something. Do not mistake for a tasty drink. It’s not. 11. Ok so gradually add the chicken stock to the pan stirring all the time. It should be bubbling away nicely. Now add the juices that we skimmed the fat from as well. We can cook this for a few more mins. While this is happening get a pan on the hob with a glass of salted water in there. Bring to the boil and add the vege and a knob of butter. 12. Ok so now drain the duck gravy using a colander into a sauce pan. Add a spoon of the red currant jelly and a small handful of chopped rosemary. Stir and taste. Add a bit of salt and pepper if needed. 13. Remove the potatoes from the oven. They should be nice and crispy and awesome. Carve the duck. Chop off the legs then remove the breast with a sharp knife starting at the breast bone and working your way down. Ill try and put up a video of how to carve a bird soon. 14. 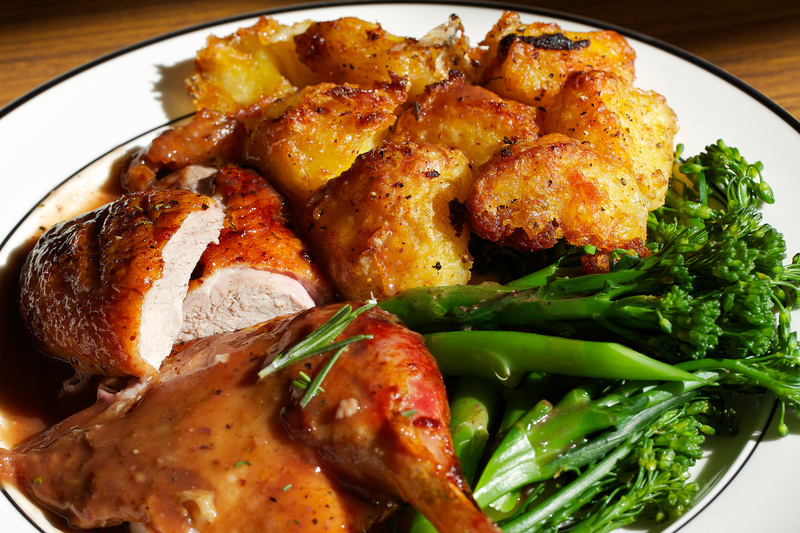 Serve up on a plate with some potatoes, the duck, vege and a drizzle of the gravy. Sorted. Save the carcass as we can make a duck and mushroom soup with it. Ill put that up tomorrow.